Something wonderful happens when you get outside. The sunshine is energizing. The air is refreshing. And you cannot help but smile when the cool spring air hits your face. This is the time of the year to get out and enjoy the Texas outdoors, and Granbury is the place to do it! 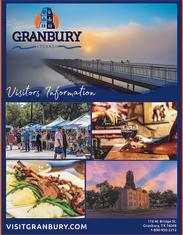 If you like boating, fishing, hiking, driving, golfing, or even just strolling around, you can do it in Granbury! Lake Granbury is one of the great lakes in Texas. It covers more than 8,300 acres and has more than 100 miles of shoreline. 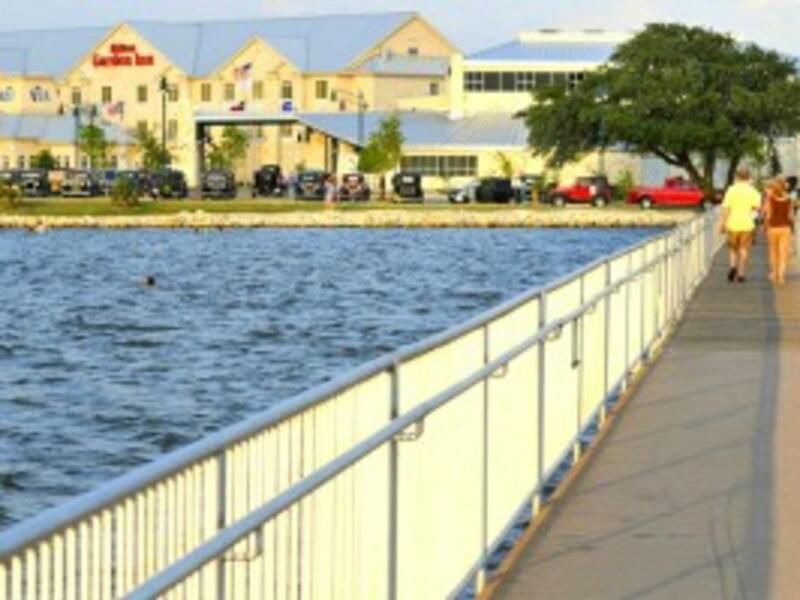 The place to get started for some lakeside fun is Waterside Sports. It is right on City Park Beach and you can rent canoes, kayaks, bicycles, stand up paddle boards; along with games and toys for the beach. If you want to get on the water, head over toStumpy’s Lakeside Grill and Lake Granbury Marina. You can rent a pontoon boat, kayaks and stand-up paddle boards or you can dock your own boat, then head ashore for lunch or dinner. If you have your own boat, there are a number of other public boat ramps to use. A full list is here. You can take your boat out and enjoy water skiing, wakeboarding, swimming, and sunning! Anglers love Lake Granbury, because it is a great spot to catch Largemouth Bass, Catfish, White and Striped Bass, and Sunfish. Fishing regulations can be found here. The Brazos River Authority is a good resource on boat ramp openings, lake levels, and water quality. There are many hiking options in Granbury and Hood County. Acton Nature Park is a great place to start. It has more than seven miles of hiking and biking trails overlooking amazing wildflowers, ponds, towering trees, and a butterfly garden! The Moments-in-Time Hike and Bike Trail is a excellent place to not only exercise your body, but also your mind! It is a two mile hiking and biking trail, with signs that convey the history of Granbury and Hood County. A full list of hiking and outdoor activities can be found here. Maybe you like to be active while remaining in your car? 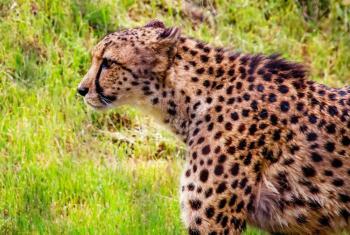 We have you covered, Fossil Rim Wildlife Center is a private wildlife park accessible by car. Reminiscent of the African savannah, a leisurely drive through the Center allows for up-close interaction with 50 species of animals. Many of these animals are endangered or critically endangered, and some are extinct in the wild. Feeling nostalgic for the old Texas range? Visit the Windmill Farm for a driving tour. There are more than 30 windmills on 26 acres. 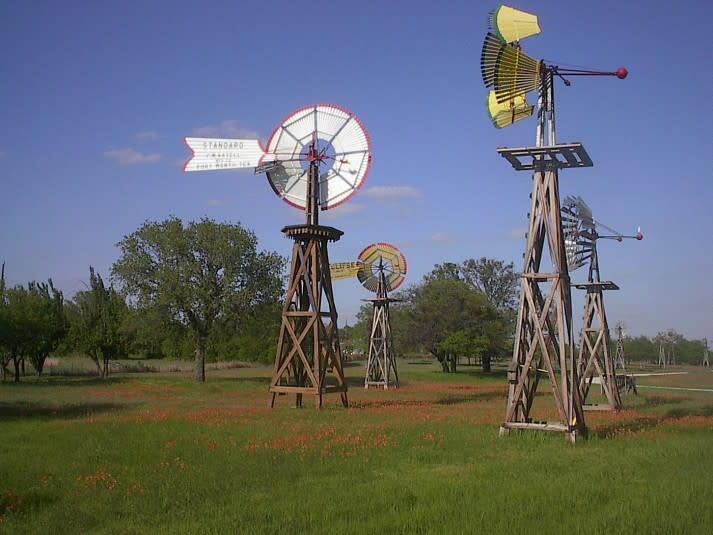 They are representative of the windmills used on Texas ranches. Open daily from sun up to sun down! Granbury is also home to one of the last remaining drive-in movie theaters! 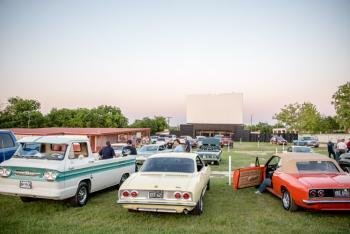 The Brazos Drive-In shows first run and classic family-friendly films on Friday and Saturday nights. Admission is by the car load. It is $20, unless you have a hero (military ID) with you, and then it is $15 for the car. 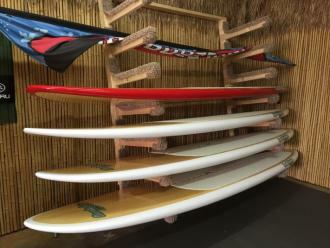 Golfers have a plethora of options to choose from! Split Rail Links and Golf Club is a links style, old world golf course. The dramatically thrilling par 72, 7,353-yard links-style course was designed by Phil Lumsden; with influence from some of the characteristics of the great courses in Scotland. Another great option for golf is Harbor Lakes. The private facility offers a 7,300-yard layout set against Lake Granbury, and the lavish custom residences of Harbor Lakes. The focal point is a 10,000 square-foot clubhouse, complete with a member’s locker room, bar, 60-seat grill, pro shop, pool, driving range, and a 150-capacity ballroom. Nonmembers can reserve tee-times as well. 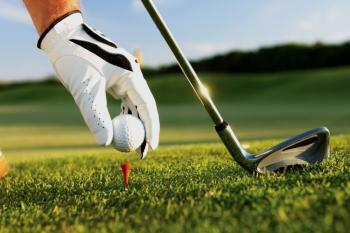 A full list of Granbury area courses can be found here. Strolling is a bit different than hiking. Strolling is a walk for the body, and a pleasure for the mind. Granbury is a stroller’s paradise! Downtown Granbury is a great place for a stroll. It offers dining, shopping, and culture! Throughout the year, the Historic Downtown Square hosts festivals, parties and parades. A full list of events can be found here. 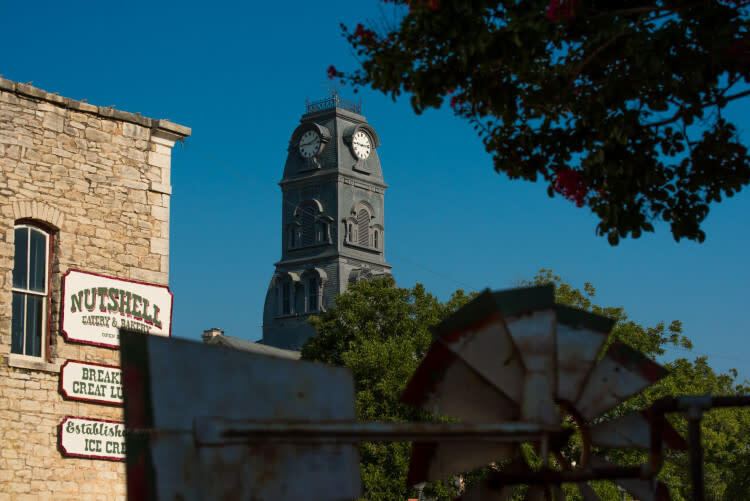 In addition, it has the beautiful Hood County Courthouse as its centerpiece and the Granbury Opera House as one of the premier live theater venues in Texas. When you visit Granbury, be sure to plan a long weekend. There are many great options for hotels and bed and breakfasts. The Hilton Garden Inn is a full service hotel right on Lake Granbury. 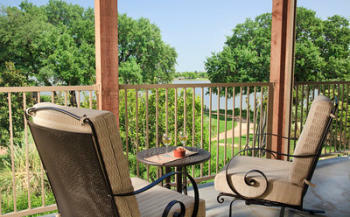 The very romantic Inn on Lake Granbury is convenient to downtown, and also right on the lake. A full list of hotels can be found here. You will want to dine out at one of the fabulous restaurants while in town. 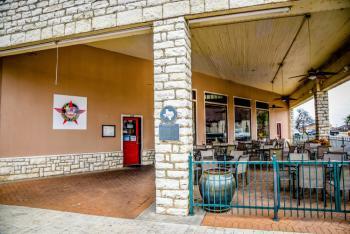 Granbury has many options for every appetite and budget. The Fillin’ Station is a great place for a burger or sandwich, and has a great old-time feel. Irby’s is great for catfish, and right on the lake! A full list of restaurants can be found here. 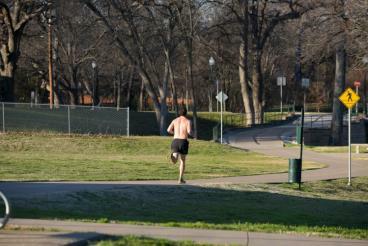 Outdoor fun is easy to be had in Granbury. There are a ton of options for people of all ages, energy levels, and interests. No matter if it is just you or a large group, you will have a terrific time outside in Granbury!